1. 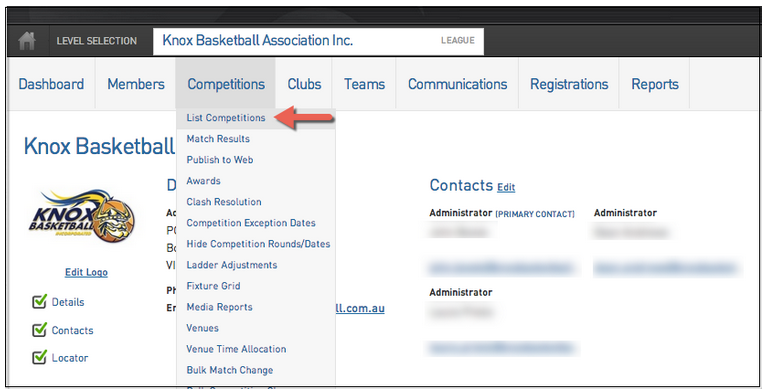 To add a new competition hover over Competitions and click 'List Competitions'. 2. Click 'Add' on the right hand side. 3. Choose which competition you wish to create. 4. Fill out all necessary information. 5. 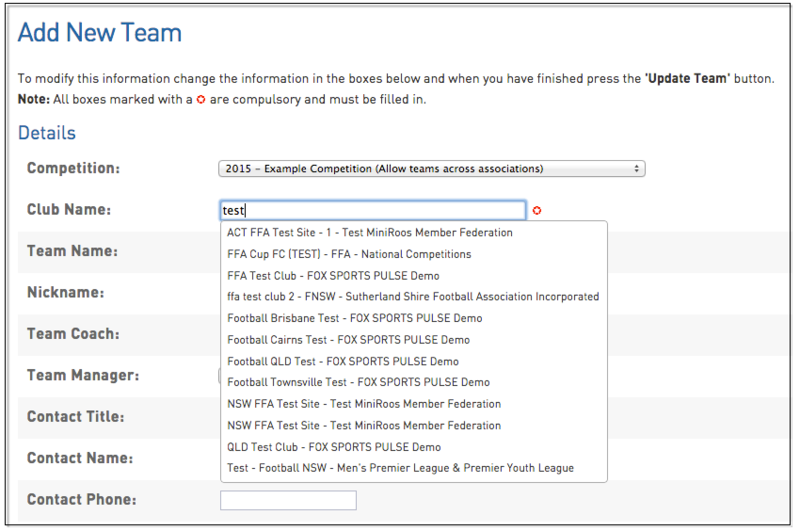 Ensure Allow create teams across Associations box is ticked and click 'Update Competition'. Once you have created the competition you will need to add a team. Please follow these simple steps to do this. 1. To add a team, hover over Teams and click 'Teams'. 2. Click 'Add' on the right hand side of the screen. 3. 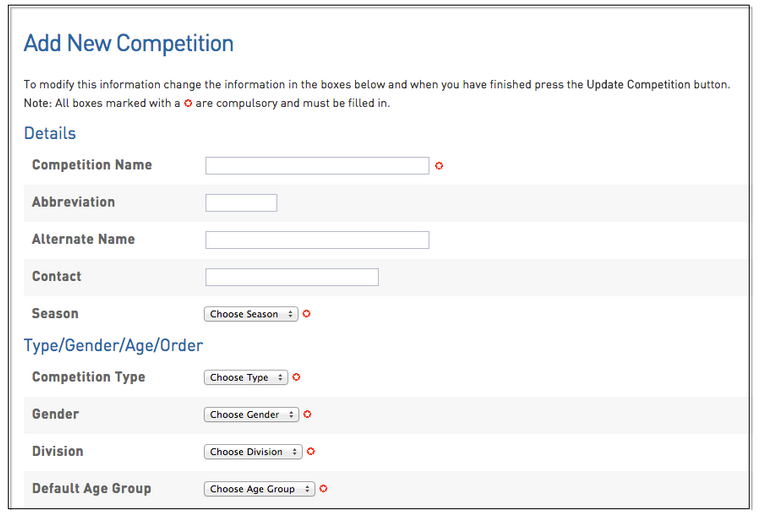 From the drop down box, select the Competition you have just created. Start typing in a Club Name and select the relevant Club the Team is part of (the existing Club Name and Association Name will display in the options). Once this process has been completed you will now find the new team listed in the existing Association and Club.